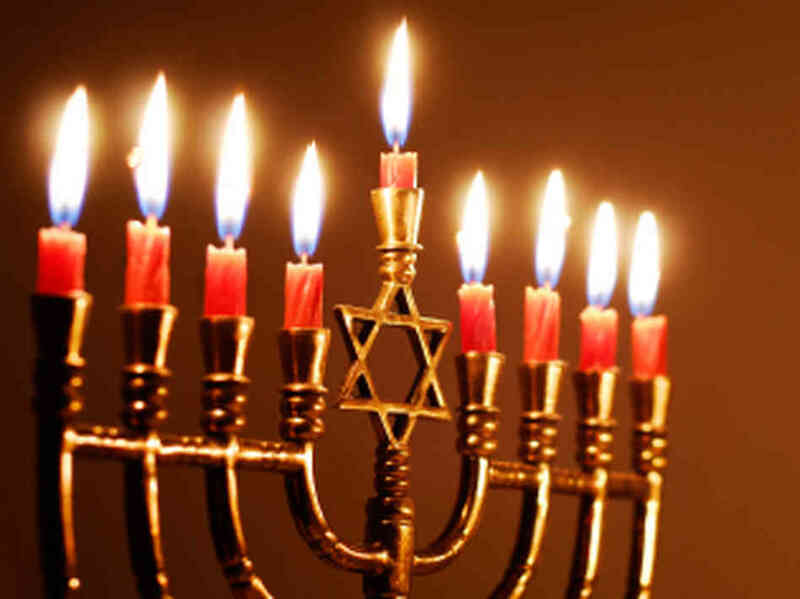 Most people identify Hanukkah celebrations with being Jewish. And with eight days of lighting an extra-long menorah (chanukkiah), eating extra oily potatoes (latkes), playing a game using Hebrew letters (Dreidel), it’s no wonder. But don’t let its Jewish symbols fool you. Hanukkah is the perfect celebration for anyone who’s ever wished for good to overcome evil, a minority of principled people to triumph over a powerful, oppressive empire, a restoration of crushed cultural traditions, a chance to clear out the bad memories and start anew, and recommit to living by their values and beliefs. This annual festival, also sometimes referred to as The Festival of Lights, dates back to 165 BCE when the Jewish Temple in Jerusalem (the only Jewish Temple in the world to this day) was defiled by the Syrian King Antiochus, who removed the Temple treasures and forbade the Jews to celebrate their holy days. He further desecrated the Temple by making pagan sacrifices and dedicating the altar to the worship of Zeus. A small group of Hasmoneans led by Judas Maccabee mounted an attack on the Syrians, and drove them out. The altar to Zeus was destroyed, a new Holy Altar was erected, and the Temple was re-dedicated to the God of Israel. The word Hanukkah means dedication. Due to the fighting, the Israelites were unable to celebrate Sukkot that year (an 8-day holy festival). So after the battle was won, they established the 8-day festival of Hanukkah to commemorate the victory of regaining the temple. It celebrates the restoration of worship in the Temple and the re-dedication of the Holy Altar. The extra-long menorah contains eight candles – one for each night — plus a ninth for lighting the others. The oily potatoes are to celebrate the oil that lit the menorah in the temple. The game of Dreidel is reminiscent of the games played to hide the reading of the Hebrew Bible, which was forbidden. We can learn a lot from our Jewish friends. This annual tradition and the spirit of Hanukkah would benefit all of us. This year consider taking a day to “re-dedicate your temple” – put away symbols of past pain, and renew your commitment to overcoming evil with good and living by your values. What the heck, take 8 days! This entry was posted on November 12, 2015 by Administrator. It was filed under Hanukkah, Supernatural, Uncategorized and was tagged with chanakiah, Chanukah, Dedication, dreidel, Festival of Lights, Judas Maccabee, latkes. Messianic “Judaism” and Christianity both require one to pray through an intermediary and to recognize a man as G-d. These are forms of idolatry. Idolatry cannot be merged with G-d’s Torah. Messianic “Judaism” and Christianity are wrong. Thank you for your perspective, kiruvnoe. My understanding is that traditional Judaism is waiting for a Messiah as well. Moses was an intermediary and a man. What is your understanding of how fallen/sinful mankind can come into the presence of G-d’s perfect holiness? The Jews were not required to pray through Moses to speak with G-d or to have G-d listen to their prayers. In Judaism, everybody prays directly to G-d only and G-d is mercifully always. It is G-d’s mercy that allows our prayers to reach Him. People do not need to pray to a different entity in hopes that that entity will bring payers to G-d and invoke mercy. Yes, a Messiah will be coming, and the Messiah will be a man, not G-d incarnate. There is no doubt, HaShem is a G-d of unfathomable mercy. I belong to Jewish community in our native place this festival is celebrated very grandly and the whole eight days we used to have a lot of fun and the special events at temples are really so good. Now due to this job and all i miss this celebrations.